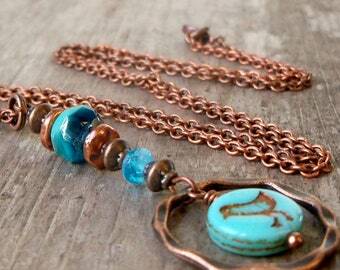 I wasn't going to introduce all the lovely copper earrings without adding in some beautiful necklaces to go with them. This particular design was requested by a long time customer and I agreed with her that it would make a beautiful design. So her request turned into even more options. 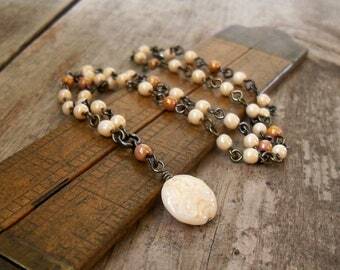 This necklace can be made in your perfect length. If you don't see the option you want, please ask. I am also giving you an extender chain option for only $1 more. 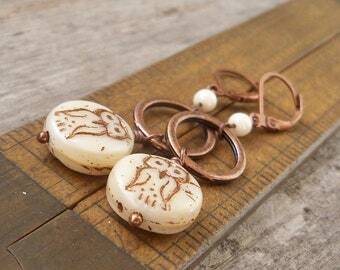 The extender chain will be two inches, connected, and finished off with a little copper bead on the end. The hammered ring on this necklace is 22mm x 1.5mm. The "baby chick" bead is available in 10 color options, as shown in the last photo. You may need more than one! 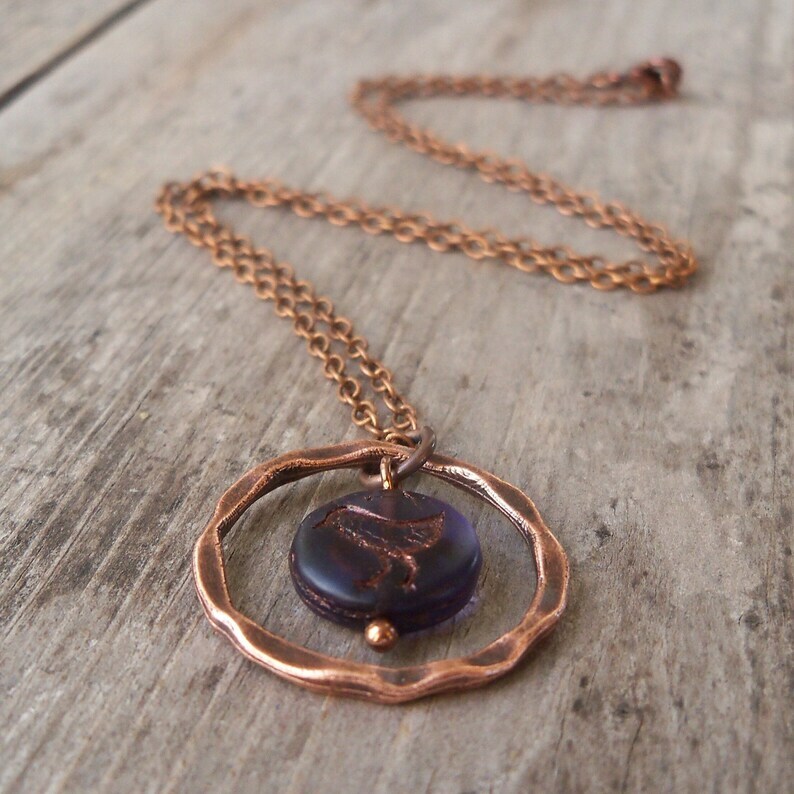 This is sure to be a favorite everyday necklace. If you want a color you don't see, please ask. Maybe I can find it.